It had been two weeks since Wasamin’s eventful fan trip to Niigata and Sadogashima, which was the last time I had seen her perform. Last week she was in Kobe and Osaka. 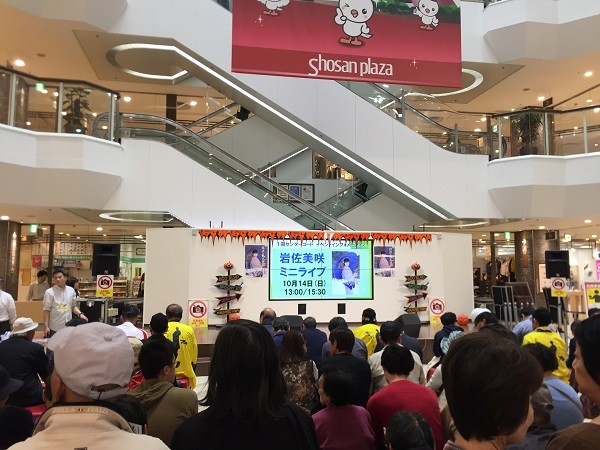 On Saturday she performed in Ibaraki, which I chose to skip because 1) It was one of those malls that is really difficult to get to without a car, and 2) I had other plans with a friend. However, Ageo isn’t far from where I live, and the mall is directly connected to the JR Station, so of I went. 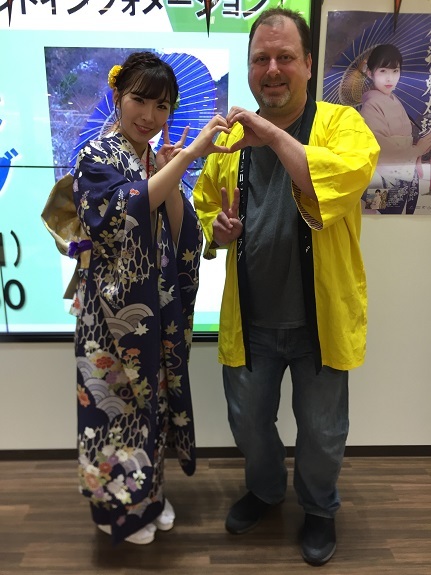 Since I didn’t get to talk with Wasamin after we got to Sado, I decided to tell her about some of the souvenirs I bought while I was there. Specifically, all of the crab-based food products. She asked if I ate them already, and I told her I wish I had purchased more of the Kani Miso paste. Wasamin also noticed my iPhone case is beginning to fall apart. Yeah, it’s time for me to find a new one. Perhaps she will have one as part of her 2019 concert goods. In any case, I bailed for lunch, and to do a little shopping. I was also battling a bit of a stomachache, which I hoped to take care of before the later show. I guess the props reminded her, since she immediately asked me if I had applied for her Halloween party. I responded affirmatively, but then told her I had a little bit of trouble with the application process. She looked crestfallen for a moment, until I told her that everything was okay. Actually, Ichikawa-san (Wasa-manager) seemed to know about it, since she laughed and nodded affirmatively when I was trying to relate the story. (Technically, I overpaid for the event, which I also did last year for her Boat event.) 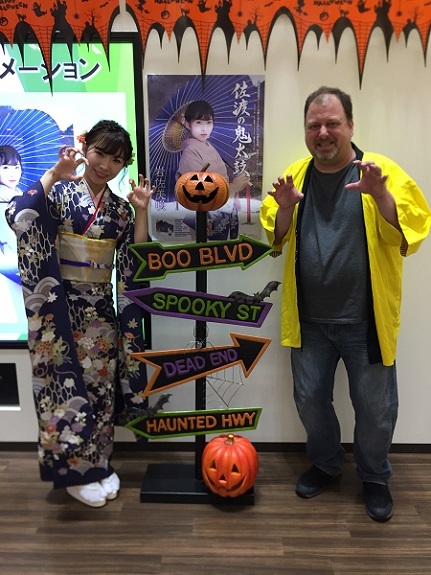 I also told her I received my ticket for Yamano Music’s Enka Matsuri, which is in three weeks. So lots of Wasamin events coming up. I decided not to stick around for the end, and head home since I had some work to do. However, the JR trains were stopped, so I ended up standing on the platform for almost 30 minutes waiting for the train to show up, Ugghh! Wasamin will be doing a lot of stuff outside of Tokyo over the next month appearing in Fukushima, Niigata, Kochi, and Ibaraki. After that there will be a bunch of Tokyo events to enjoy..